Behind any successful professional, you will discover a strong, focused individual who does whatever is required to help her clients reach their goals. Lynda Rowinski is no exception. Bringing together an energetic spirit and bevy of professional expertise, Lynda makes the purchasing or selling of a home a very rewarding and positive experience. Whether buying or selling a home, Lynda’s knowledge and great attention to detail makes her a genuine asset to her clients. Inspired by her love of real estate, Lynda Rowinski began her career more than 20 years ago and earned the coveted “Rookie of the Year” award in her first year. She followed by rising to the number 1 position in sales at Century 21 with and held that position for several years in a row. 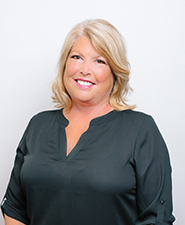 As a realtor, Lynda is driven by a strong work ethic, coupled with her enthusiastic attitude, extensive knowledge of real estate and has garnered a position as a regionally recognized authority within the Association of Realtors Community. For those planning to buy or sell a home, or considering a move to the Southern California area, Lynda Rowinski’s character, knowledge and credibility help prospective buyers or sellers make the most informed real estate decision of their lives.